Happenings and Things. 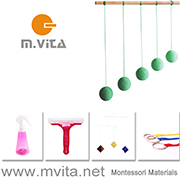 How we Montessori Shop. This week in the shop I was busy reordering and negotiating with suppliers. I'm looking forward to expanding our range but it's important that we select the very item we are looking for with no compromises. The balance between handmade and mass produced items is often difficult. Handmade items are usually more time consuming to make and the quality of materials is higher but not always consistent. Mass produced items are more affordable and more accessible. Quantities are difficult too. I know handmade materials will never be able to fulfill demand. I am working hard to ensure we have a balance, where I have selected the item with the qualities that suit the needs of children, mostly toddlers in the home. I know a lot of you are looking for infant materials and hopefully we will be able to source wonderful handmade infant materials and mobiles in the future. If the shop achieves nothing else I'll be content if infant materials are made more accessible (in Australia!). This week I have also faced the reality of a competitive market. While I am sure that the activities of other stores will have no impact on my store or my customers it's always disheartening to hear about other retailers who might not be staying true to themselves. 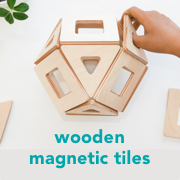 This blog and this store is a reflection of our Montessori life. It's something I feel so passionately about and now I am in the very fortunate position of being able to provide the materials and products that people use in their home, for their children. It's a privilege and it's something I'm very proud of. On a more positive note we have almost sold out of the Easy Clean Montessori Placemats, the response to this placemat has been fantastic. I have reordered and hope to have some new stock soon, but if you want one now, be quick, as I type we have two left! The new trays have also been popular, we almost sold out immediately. I know some of you were ordering four or five at a time. I've also reordered these and will also be getting the Small Tray - with handles in the medium size. Hopefully these will be in store this week. New this week we have an indoor broom. Otis is just starting to be able to sweep items into a pile however he has always loved sweeping and this broom is so light it's perfect as a first broom. A broom for toddlers! There are also lots of little bits and pieces I've been looking for that will empower a young child in the home. We've always used recycled/reused containers but now I've found a supplier for these little lotion dispensers. Perfect for the toddler in the kitchen, care of self table or bathroom. I've been taking emails from those who wish to be notified when the Cognitive Development Cards (matching and language sets) are back in stock. If you wish to be notified please send me an email (howwemontessori@gmail.com) or stay tuned to Facebook where I will let everyone know. This week we also received a new shipment of blocks, we are now fully stocked in blocks including the First Sound Blocks, Colourful Rainbow Blocks and Natural Construction Set. We are also now are fully stocked in the Toddler Dusptan and Brush Set. While I love using my camera I recognise when a professional is needed. Ayu recently wrote about her experience shooting our products, you can read about her experience here (and if you are into photography I think you'll love her set-up). Thank you Ayu for your attention to detail, your images are amazing! This week Caspar starts his transition to the Cycle Two (6-9 years) class! He is excited and I'm nervous. Otis will start his transition to Cycle One possibly this week too!! I am continuing to read up including reading The Universe Series. Have you or your children read this series? I'm not planning to read them to Caspar until his interest in this area develops. I've mentioned it before but this Cosmic Education in Montessori still amazes me. Fingers crossed for a smooth week!